Back in 1973, Ukraine, then the Ukrainian Soviet Socialist Republic (Ukr. SSR), ratified the International Covenant on Civil and Political Rights (ICCPR). Since then the government has been under the obligation to submit regular reports to the pertinent UN committee, concerning human rights violations and measures taken to eliminate and prevent them. The next such report is scheduled for May 2019. In October, our administration will receive pertinent questions from the UN. Along with drawing up the report, local civic organizations can supply the [UN] committee with alternative data regarding human rights. A coalition of NGOs that deal with the rights of internally displaced persons and residents of temporarily occupied territories (TOT) has used this opportunity. Below are the key clauses of their report. In the first part of their report, the human rights activists focus on pensions, social payments, and obstacles placed in the way by controversial legislation. They cite examples like the additional checkups of beneficiaries by regulatory authorities, the mandatory presence of the resettler certificate, provided the bearer of the certificate is serviced by only one bank. The Supreme Court of Ukraine recently ruled that pension exemptions based on such checkups are illegal. The human rights activists believe that the same applies to the stoppage of social payments as per “SBU Lists” with the names of individuals who have, allegedly, returned to the [Russia-] occupied territories. The sums paid in terms of aid are best described as token money, especially in regard to able-bodied individuals, and these sums are not adjusted for the inflation or living wage ratios. The inner resettler status does not suffice to secure the refugee’s basic human rights, including the right to vote during local elections. Quite a few refugees come up with important civic initiatives, but their integration will not be complete without the right to vote. There is also the housing issue. There are several national programs which provide for partial rent or mortgage payments, but the resettlers are taking part in them on general terms and conditions. In addition to the other problems, the funds available are supplied on a first-come-first-served basis, so not all of the people who need the money from the state can receive it. There is no temporary or social housing foundation. Some refugee families settled in dorms, civic hotels and module towns at the start of the ATO [Ukr. acronym of Anti-Terrorist Operation which is actually Russia’s war against Ukraine in its eastern regions – Ed.]. No acceptable alternative was found. Property is uppermost on the mind of all refugees/resettlers. Ukrainian legislation reads that the property title is to be preserved, that any legislative decisions made by the self-styled DNR and LNR are null and void. In reality, this legislation doesn’t work. Some resettlers have to abandon their property and those who try to bring some property with them confront bureaucratic procedures: customs clearance and tax regulations/restrictions. ATO damage claims can be filed only under Article 19 of the Law of Ukraine “On the Struggle Against Terrorism.” There is nothing about pertinent procedures. In other words, the claimant can’t expect any refund, even if with a court ruling in his/her favor. Ukrainian legislation makes Russia, the aggressor state, accountable for all damage. Who, being of sober mind, will expect any damage payments from the Kremlin? The second and third parts of the report are dedicated to the people who had to stay in the [Russia-] occupied territories, as well as to the prisoners of war. Transport and business contacts between these occupied territories and Ukraine are formally nil, save for holders of special entry-exit visas. ID papers issued by the DNR, LNR, and Crimea occupation authorities are not recognized in Ukraine. One can receive a birth or death certificate, if and when in an occupied territory, but only by a court ruling. There are no administrative procedures. No school or college diplomas issued there are legally valid in Ukraine. There are the Crimea-Ukraine and Donbas-Ukraine education centers, but there is an increasingly lower number of applicants. Another problem is the absence of the Ukrainian language, history and literature in the curriculum. This has an adverse affect on the graduates from the occupied territories who apply for enrollment in Ukraine’s institutions of higher learning. The human rights activists emphasize that each resettler must have a displaced person’s certificate. This is the best way to have one’s civil rights protected. With people entitled to an old age allowance, it is more complicated. 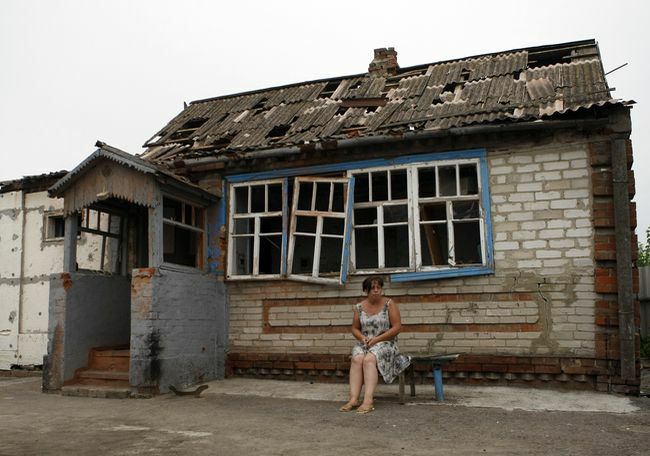 Only those entered in the List of Separate Donetsk and Luhansk Regions (ORDLO) can expect to be paid. Residents of Crimea must bring with them documents signed by a Russian authority, attesting to their non-Russian citizenship. If entitled to old age allowance, they will have to wait for their papers to be sent from Crimea via Russia. This pension-giving bureaucratic procedure is fraught with danger. Official statistics differ from the actual number of people who are resettling in Ukraine and need help from the state. Prisoners of war, when released, have no legally defined personal status; they can’t count on free medical and psychological assistance. Their service to their country is not acknowledged. Their return to their old jobs is not protected under law. The Cabinet of Ministers of Ukraine ruled in January that such POWs receive a one-time payment, provided they were released between December 27, 2017 and January 24, 2018. Other prisoners of war, released outside this timeframe, are left with nothing, period. They can get medical help on general terms [i.e., having to pay mind-boggling sums for treatment and medicines – Ed.]. There are no social and psychological rehabilitation programs for them, just as there is no data regarding veteran’s benefits. There are two bills on POW status submitted to the Verkhovna Rada, but none mentions their families. These families need social and psychological help, almost as much as the POWs. At the end of the report, the human rights champions offer the UN Committee on Economic, Social and Cultural Rights a list of questions to be answered by the government, including funds, measures to be taken to eliminate the discriminatory rules, access to higher education, various kinds of aid, and a number of restrictions to be revised.